Meet Elephant Gerald and Piggie. Gerald is careful. Piggie is not. Piggie cannot help smiling. Gerald can. Gerald worries so that Piggie does not have to. Gerald and Piggie are best friends. 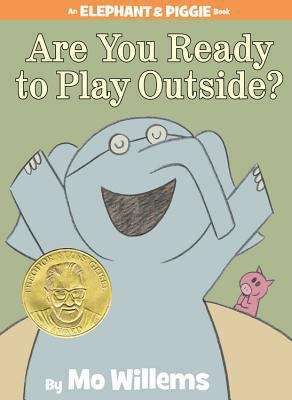 In Are You Ready to Play Outside? Piggie can't wait to go play in the sunshine. But will a rainy day ruin all the fun?